An ecclectic mix of music primarily Celtic, ranging from 14th traditional Irish to Pink Floyd. Fun rollicking music but don't clap your hands while driving! The squirrils are at it again. What fun! I have to get out more often to see these guys. I've been DYING to get my hands on this CD since hearing a number of songs on Pandora's Irish Pub Songs station. So happy it's finally available. They are an addictive band and I love how they get the audience involved. I laugh every time about those dang squirrels! The Rattlin Bog is so awesome and my kids like it to. 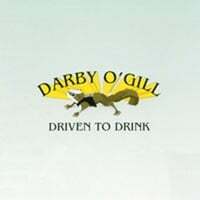 Thank you Darby O'Gill. I love this CD!!!!!!! It's very funny!!!!! !